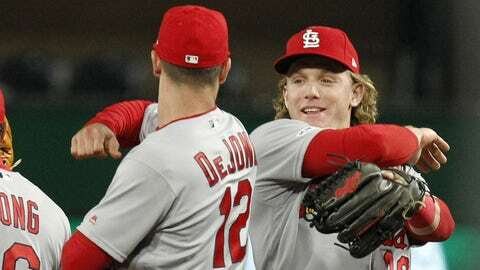 Harrison Bader (48) hit a two-run homer off Keone Kela in the eighth to tie the game at 3. PITTSBURGH — Mike Shildt would prefer to not have his team consistently find itself in a spot where it’s forced to rally. Pirates: LF Corey Dickerson did not start due to soreness in his right (throwing) shoulder. He grounded out as a pinch hitter in the eighth. … C Elias Diaz (illness) will begin a rehab assignment with Class A Bradenton on Thursday.